Lind Equipment has always built portable lighting designed for the toughest workplaces, and it is hard to find an industry tougher than equipment rental. With this in mind, we've designed and built a suite of LED lighting for your equipment rental needs. the products below are in Oracle and on your branch template. Click the picture for more product details. Beacon360 Blaze 360° LED Area Light with 25' cord with plug, and 1' daisy-chain cord on a 4-8' tripod. Beacon360 GO 360° LED battery powered area light with 120V charger on a 4-8' tripod. Beacon970 LED Floodlight with 15' cord with plug on a 4-8' tripod. 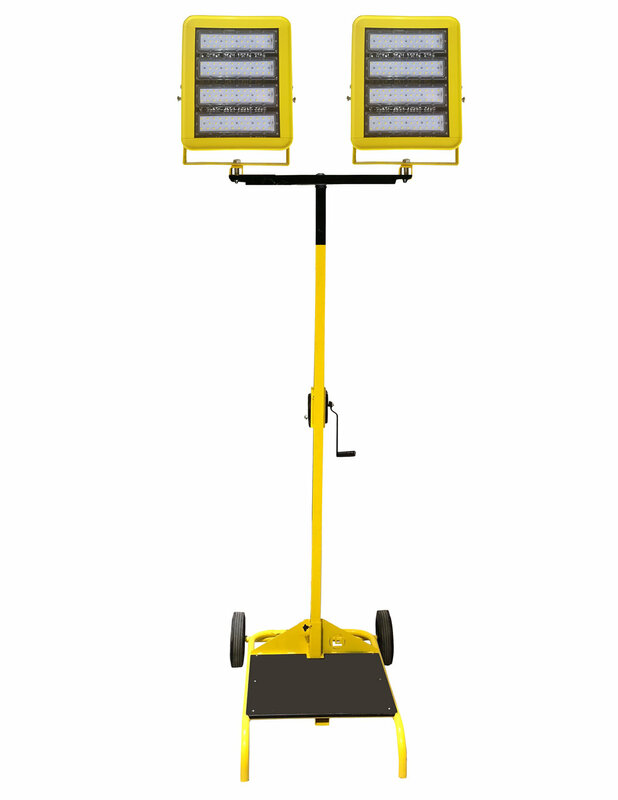 Beacon980 Wide Area LED Cart Light with winch and 12' mast height. Same light output as 2 x 1000W metal halide lights. Thank you! Someone from Lind Equipment will be back to you shortly. Click on picture for more product details. 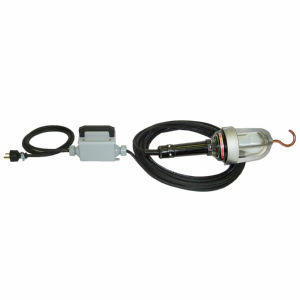 Low-Voltage Hazardous Location Work Light with 50' cord and plug. Hazardous Location portable floodlight with 100' cord and plug. Lind Equipment's One-Take Series features literally a 'one-take' video highlighting an individual product. In this episode, take a walk with Brian through Lind Equipment's office and warehouse and see the Battery Beacon360's versatility, learn its applications, and see use put it through its paces with drop tests. The Beacon360 360° Portable LED Area Light is taken through its paces to see if it will withstand the abuse of a job site. Our customers challenged us to prove if our new 50W portable industrial LED flood light would start up in cold weather. So we froze it in a block of ice. Will it start? Spoiler alert - it starts. instantaneously. every time.